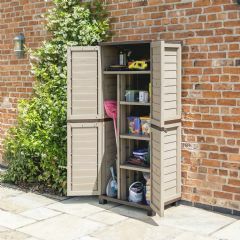 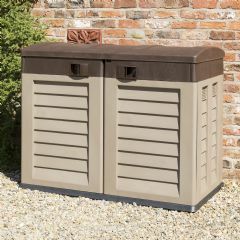 Perfect for storing your larger garden items, this Suncast Resin Kensington Seven Horizontal Storage Cabinetfeatures a ‘glide-top’ sliding lid which, combined with robust double door access, provides you with walk-in access.  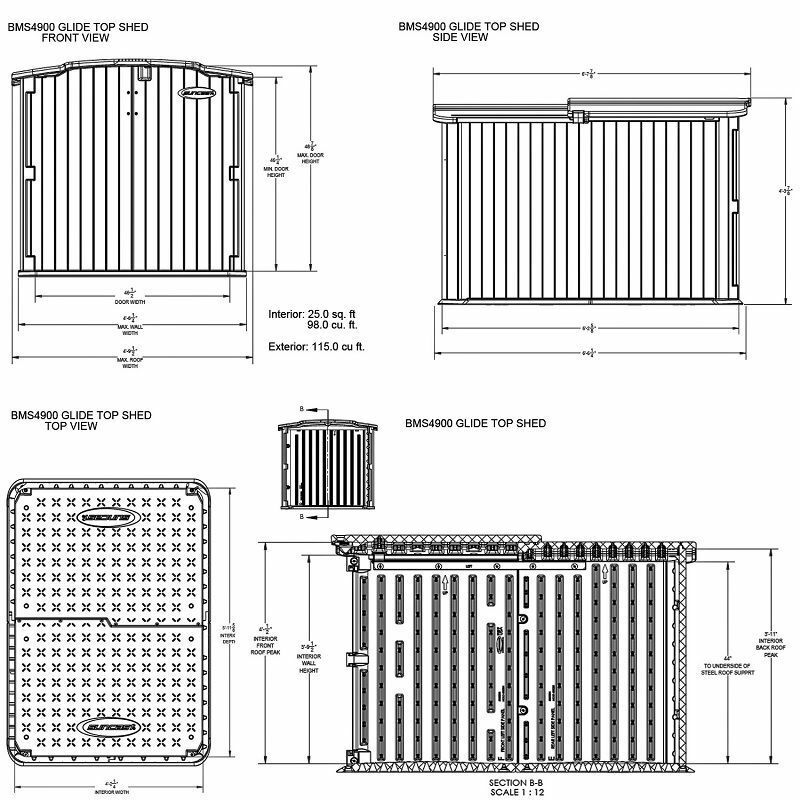 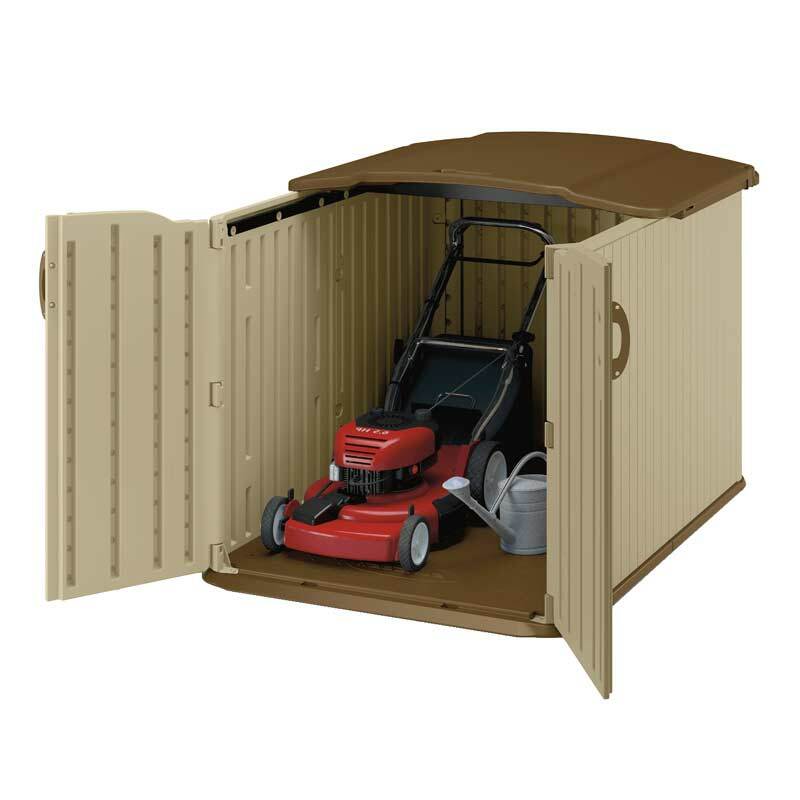 Ideal for storing bikes, mowers and patio furniture, it even has a reinforced floor to provide sturdy support for tractors or other heavy items. 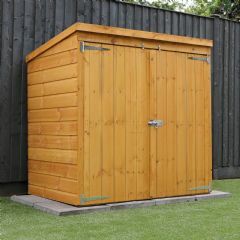 With an extra strong, double wall construction, it is easy to access with its robust double doors. 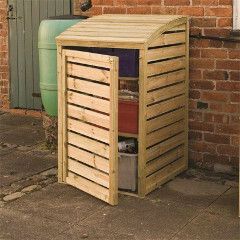 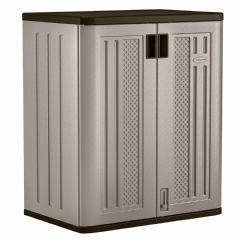 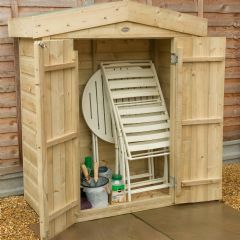 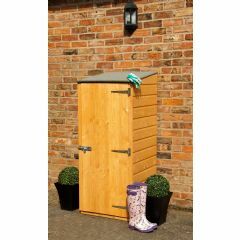 This high quality shed is a superb practical storage solution for your garden to keep your outdoor accessories safe and secure and protected from the elements and makes a wonderful addition to your outdoors. 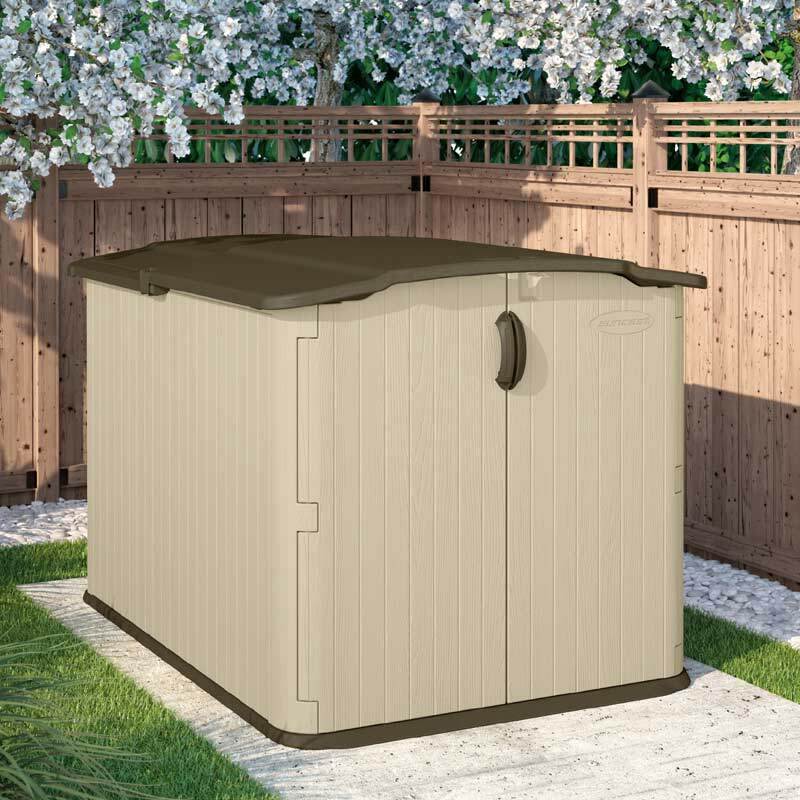 Made from a strong and durable resin construction with chocolate accents, this smart, attractive Kensington Seven Storage Shed also features a stay-dry design. 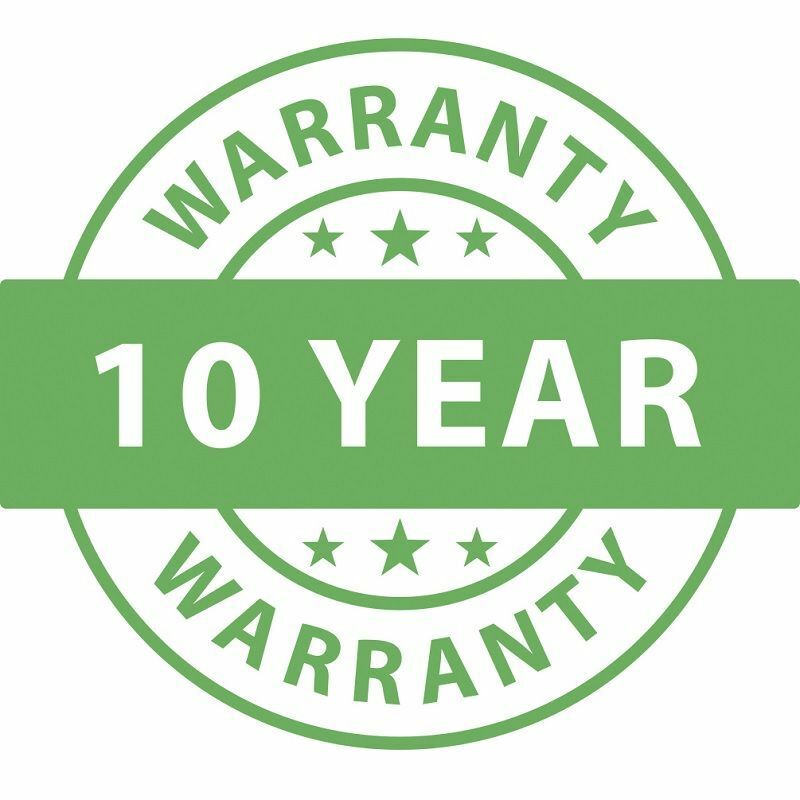 This is a quality product at a great price that makes a wise investment as it will last for years to come. 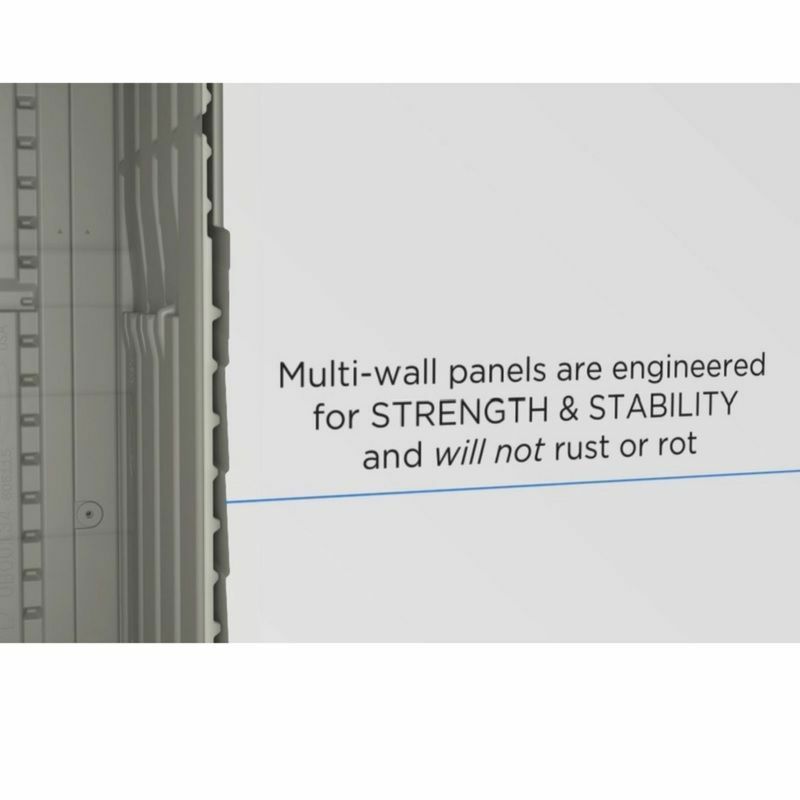 Manufactured using Blow Moulding technology, producing Extra Strong double wall panelling.